Jerrion Ealy makes it official: He's an Ole Miss Rebel! 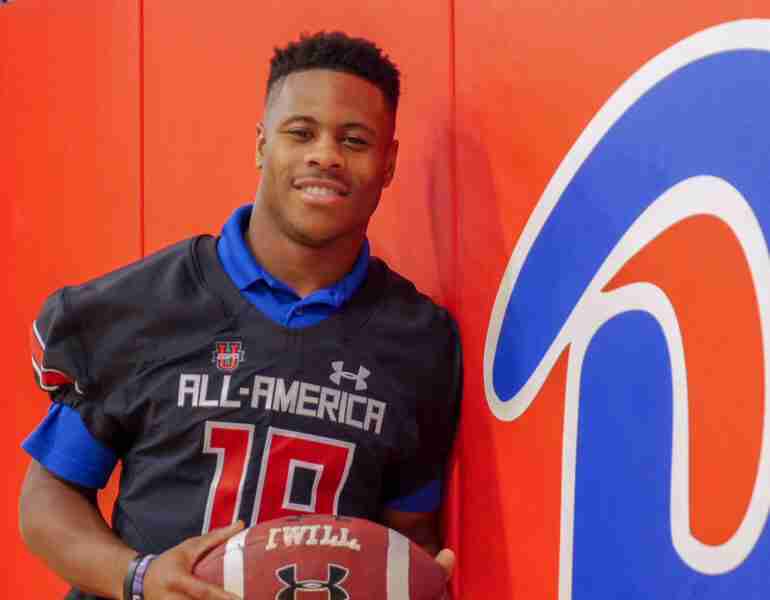 Jerrion Ealy makes it official: He’s an Ole Miss Rebel! The wait is over! Jerrion Ealy, the nation’s No. 3 running back and No. 2-ranked player in the state of Mississippi, has signed his national letter of intent with Ole Miss. The five-star prospect out of Jackson Prep (Miss.) took official visits to Ole Miss State, Clemson, and Alabama over the last month or so. Ealy, who is only one of four high school players to ever earn Under Armour All-America honors in football and baseball, is predicted to be a first-round draft pick in the upcoming MLB draft this summer. In the Under Armour All-America game, Ealy broke the record for most rushing yards–and did so in just three quarters. Though he had been committed to the Rebels for quite some time, Ealy de-committed from Ole Miss in January and took an official visit to Clemson. In the end, however, the Rebels prevailed. Ealy and his Jackson Prep team won four straight MAIS state championships. As a senior, Ealy rushed 167 times for 1,526 yards and 24 touchdowns. He also led the Patriots in receiving yards (398) and caught three touchdowns.